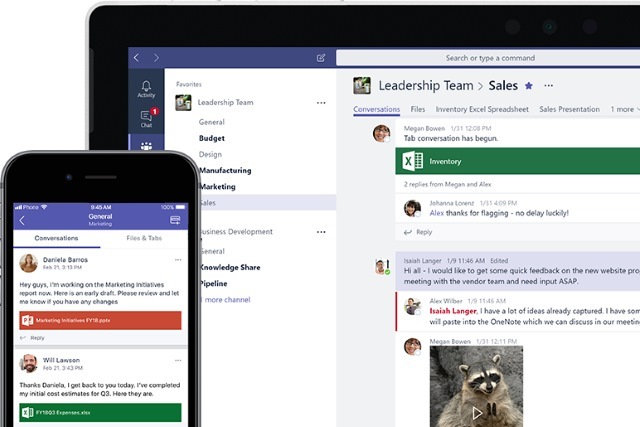 Microsoft has launched a free version of Teams, the company's collaborative chat tool. Teams has pitted itself against the likes of Slack since it first appeared, but the arrival of a free edition makes it a viable alternative. As this is a free product, it should come as no surprise that there are limitations. However, the free edition of Microsoft Team can still be used by up to 300 people -- the same as the Essentials and Premium versions -- which should be enough to cater for most small to medium sized businesses. So what about those limitations? While the paid-for versions of Teams offer 1TB of storage per user, the free version cuts this back to 2GB per user, but also includes 10GB of shared storage. Microsoft has managed to do a decent of attracting enterprise users to Teams, but it remains to be seen whether it will enjoy the same success with free users -- who Microsoft will be hoping will upgrade to premium versions at some point in the future. Unlimited app integrations with 140+ business apps to choose from -- including Adobe, Evernote, and Trello.